As polling for eight Lok Sabha seats in western Uttar Pradesh concluded on Thursday, the advantage to the ruling BJP does not seem as enhanced as it was five years ago. Despite the battle over 'Ali and Bajrangbali', the BJP failed to ensure a religious polarization in western UP. In 2014, the region -- smarting over the 2013 Muzaffarnagar riots -- was communally surcharged and the divide between Muslims and Jats was palpable. Five years later, the divisions have blurred and the Rashtriya Lok Dal, through a series of meetings with Khap leaders, has ensured that Muslims and Jats reconcile to a large extent. Surprisingly, Muslims have maintained studied silence and have refused to react to attempt to provoke them and this has prevented polarization on religious lines. Dalits who form the second largest group in this region, have also not made their preferences clear, leaving political parties guessing. Five years ago, the then Akhilesh government faced a strong anti-incumbency wave in this region, mainly due to its apathetic handling of the riot situation. The anti-SP wave was so pronounced that Akhilesh Yadav did not campaign in the Kairana by-election last year and his candidate Tabassum Hasan managed to win the seat on an RLD ticket. It is now the BJP that faces a double anti-incumbency, with its governments both at the Centre and state. The state government is particularly on the target because of the shutting down of slaughter houses that have affected meat traders and exporters in the region. Cane farmers, whose dues are still pending, are up in arms against the Yogi government and UP ministers who have campaigned in the area, have been at the receiving end. 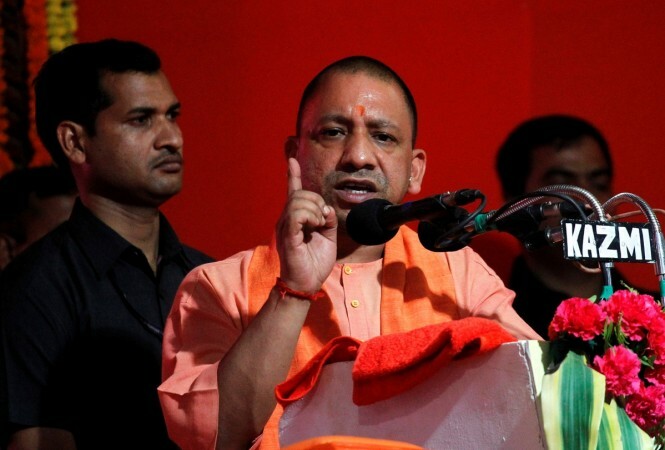 The mob lynching of an inspector allegedly by rightwing activists following a cow slaughter incident in Bulandshahr in December last year has also earned flak for the Yogi government. Besides, the BJP faces a comparatively united opposition -- united on the issue of defeating the BJP. Though the divisions within the opposition may still work in BJP's favour in a multi-cornered contest, the fact remains that it has demoralized party workers to an extent. Polling in these eight constituencies on Thursday has been marked by allegations and counter-allegations. Former Union minister Sanjiv Baliyan alleged that "burqa-clad women" were being allowed to cast fake votes. The BSP, on the other hand, alleged that Dalits were being prevented by the police from casting their votes.